There is an old and often repeated saying, "When the student is ready, the teacher appears" and so it is with this ancient teaching, given in 4 Sacred Keys for modern day usage. The power of the Genie is well known in fables and this Genii is no exception, as she brings forth long kept secrets of universal wisdom to elevate and empower those who seek such an advance leverage. The 4 Keys to Light contain much power and light enhanced information and has, until this time, been given only to those few who could be trusted not to misuse this advanced education. Genii Townsend is a teacher readied to be entrusted with these 4 Keys -- it's instruction, care and divine use. Thus, it could be said that it is one of God's best kept secrets! From the God self of the Genii Townsend as a trans-audio medium, comes the treasures she has held sacred. During the learning of the 4 Keys materials, students are enlightened while receiving specific Light elevations. The sessions also include each student learning of their personal Soul Guides that brought them to these teachings. This is a program not to be missed, with all it contains, and most especially with the planetary changes taking place. “I highly recommend Genii Townsend’s class on The 4 Keys to Light! She ties together the best advice I have ever seen about getting to know some aspects of your being that you might not have explored before. I have had a running dialogue with God all my life. I have gotten some absolutely wonderful answers to questions, gotten guidance I have asked for, and have enjoyed heavenly energies. I always thought these answers were coming from my “Higher Self.” After The 4 Keys, I came to recognize that indeed much of my contact was with my Higher Self, but a great deal was also coming from my dedicated Spirit Guides that have been with me all of my life. I can now see the difference, and I am in awe of the way that God has created this system within us. Bringing much advancement to the student’s path, The 4 Keys to Light are an extraordinary and greatly accelerated initiation into higher consciousness. This program assists you in developing the ability to consciously connect and remain connected to your Supreme Light and the higher Light Intelligences that are assisting and guiding your lifestream. You will receive and remember these ancient and most holy teachings that will catapult you into mastery, self empowered knowing, sacred trust and responsibility. In the first key, you will anchor The Word, the most powerful word of Creation to support your mission in the planetary shift and the mastering of dualistic energies. Atonement is the harmonic simplicity of tone to align all of your energetic bodies to the rhythms of the Universe. Your guiding forces of Light will make themselves known as you learn to connect to, transmit and use Divine Intelligence in your life’s mission. The 4th key is considered the most celebrated moment of your embodiment. The Light Linkage will greatly accelerate your advancement, as an open channel of Love, into Oneness as any remaining separations are abolished through the Power of Light. The most important consideration to anchor these high frequencies of Light unification, is to remain in a state of absolute surrender to Divine Will and to use these teachings in your daily devotion. We all must exercise the newly expanded awareness while remembering that our mission is to embody self mastery on every level. With the assistance of The 4 Keys to Light program, we deepen our commitment and anchor our mission as Ambassadors of Light. 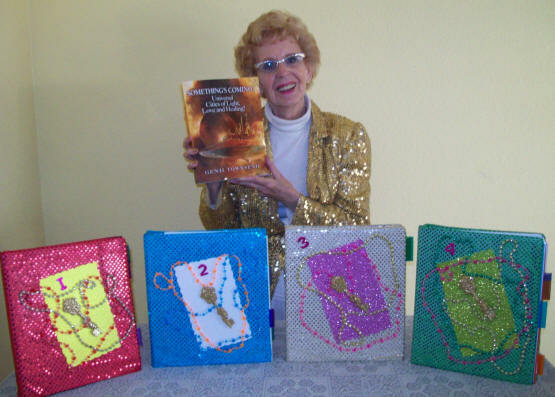 The 4 Keys to Light is facilitated by Genii Townsend of Sedona, also known as “the Genii. The class is about four hours long and it takes Genii another two hours to bring forth information on the Gatekeeper and Lead Guides for each individual participant. Until recently, tuition for The 4 Keys training had been set at $200. Now Genii has been instructed by her Teachers to make these Sacred Teachings available to anyone who is interested and let each student select the level of tuition you wish to pay or make a donation for what the training is worth to you personally. 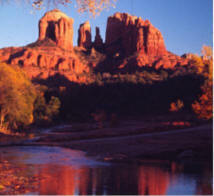 At any level, The Sedona Light Center offers a 90 day 100% money back guarantee of satisfaction. We have had numerous inquiries about The 4 Keys to Light Classes and looking forward we are pleased to be able to make available future dates for The 4 Keys to Light classes to assist all of you in your planning. They are scheduled to be held in Sedona, AZ at this time, but if we receive a request to come to your location, we certainly can discuss this. If this is desired, please contact us by phone or email. They are currently scheduled to be held starting at 10 am to approximately 2 pm with a break for lunch on the following dates. Saturday March 3 and and Saturday March 24. Please arrange for your own brown bag or snacks, water and drinks provided. Please register and reserve your seat now as there are only limited spaces available. Plus since it takes Genii about 2 hours to bring through and write up your personal Gatekeeper and lead Guide, she needs and deeply appreciates as much lead time as possible. Thank you! Your advance registration is fully refundable if you need to cancel for any reason. However, if Genii has already invested the couple of hours required to "bring through" and type up the details of your personal Gatekeeper and Guide before you cancel, we request that you gratefully allow us to retain $50 of your advance registration and Genii will go ahead and send you that information. You will also have the full credit toward a future Class on The 4 Keys to Light. * Please Note: We are dedicated to sharing the resources available through The Light Center including The 4 Keys to Light with as many people as possible. For that reason, Genii was Guided to invite donations rather than continuing the set tuition of $200 that had been in pace for many years. While we do provide an opportunity for people to donate what they can afford and or what The 4 Keys are personally worth to them, we also hold the vision of "Conscious Energy Exchange". In addition to offering personalized payment plans when that is helpful to participants, we invite anyone who makes a minimal donation to attend the class to consider making an additional voluntary donation if and when they are guided to do so. There have actually been several instances where someone who attended for a minimal donation of $50 was so richly blessed that they made later donations of more than $200. The preparation process for The 4 Keys takes Genii at least an hour and a half to 2 hours to bring though, write up and prepare information for each individual's Gatekeeper and Lead Guide. And because she does that as soon as people register, we ask for donations of $50 if someone who has cancelled would still like to receive the information Genii has prepared on their personal Gatekeeper and or Lead Guide. Thank you for your understanding. Please use the Comments/Special Delivery Instructions section in our shopping cart to indicate which class or presentation you are registering for. Thank you! to do so over the phone rather than online, please call us at 928-284-5566. If you are not able to attend The 4 Keys to Light Teaching, you may also Click Here to buy Something's Coming: Universal Cities of Light, Love and Healing either in print or a PDF edition and you can Click Here to become a Charter Member in the Sedona Light Center.